Shalakyatantra is one of the eight branches of Ayurveda that includes the diseases of Eye, Ear, Nose, Throat and Orodental (urdhva jatrugata vikaaras).This department offers teaching and training modules in Ophthalmology, Oto-rhino laryngology and dentistry as well. Moreover it deals with the treatment of Eye, Ear, Nose, Throat and Orodental by traditional systems like Kriyakalpas and different surgical methods. Knowledge of Shalakya enables the students to be an expert in Shalakyatantra. It helps them to become excellent clinician, knowledgeable surgeons, good teachers & scientists with an investigative mind. Our qualified teachers train the students to gain best judgment & clinical insight and skilled hands to perform good surgeries. To achieve this, we equip our students with sound knowledge of various aspects of Shalakyatantra. Our department performs minor surgeries and para-surgical procedures in mini operation theatre. Minor surgeries include chedana karma, lekhana karma, bhedana, jalookavacharanam, siravedhan, kuttanam, prachanam. In the OPD section other procedures like anjanam, aschotanam, pari-shekam (Netra Dhavanum), karnapooranam, epilation, bidalak, etc. are performed. In ENT section tuning fork test, wax removing, aural syringing, foreign body removation, etc. are carried out. Varieties of clinical tests are executed in the OPD with the aid of instruments like ophthalmoscope, otoscope, tuning fork, slit lamp, bull’s lamp, and Torch test. Vision is examined with the help of Snellen’s, near vision chart, Ischihara Chart for color vision, Autorefraction, Retinoscopy, Tonometry, Keratometry, Sac syringing, A-scan, B-Scan, 4Dot test for general assessment of Squint, fluorescein test for assessment of Corneal abrasions, Rose Bengal Test, Schirmer Test for dry eye assessment. Dark room for refraction is set up in the hospital. In the IPD section tarpanam, putapakam, nasyam, siropichu, sirobasti, sirodhara, karnadhupan, kavala, gandush, padabhyanga, pattabandhanam, etc. are performed as per the requirment. Clinical training is regular and the department has records of successfully treating RP, Glaucoma, diabetic retinopathy, Hypertensive retinopathy, sinusitis, myopia, headache, optic atrophy, nasal polyps, aural polyps, Hearing loss, etc. The department has a collection of charts, models and specimens. The department has a research credit of chronic suppurative otitis media (poothikarna), Chronic Rhinitis, Viral Conjunctivitis, Pterygium, and Jaloka Avcharana in Anjannamika. To teach the students the Ayurvedic as well as modern perspectives regarding urdhva jatrugata vikaaras. To educate the students to turn into an open minded researcher, an efficient teacher, an able clinician and a life and sight giving surgeon. To train the students in various surgical diseases and their management and assist them to become committed Ayurvedic Surgeon. To instruct and master Ayurvedic kriyakalpas viz. tarpan, putapaka, anjana, pariseka, etc. To carry out research oriented study and practical training of kriyakalpas. To become highly efficient in the pre & postoperative treatments & measures. To learn the basic skills of surgery and gain the “Asammoha Shastravaidya Lakshanam”. To acquire the most difficult but the most important skill of judgment and decision-making in clinical practice. We have well developed three independent OPDs for- Netra (Eye), Karna-Nasa-Mukha (E.N.T), and Danta (Orodental). A self-sufficient well equipped O.T. for Shalakyatantra. Special Ayurvedic treatment is available for many chronic and common diseases e.g. for dry eye/computer vision syndrome- Netratarpana, Aschyotana, for Karnasrava- Karnadhupan, etc. 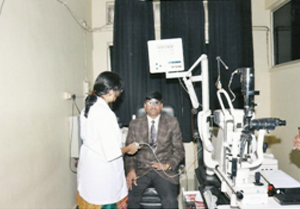 Many eye camps like squint, cataract surgery are conducted successfully that helps the students to gain more knowledge. Small incision cataract surgery camp was organized on 19-20th of January 2013. – Total 20 & 14 patients were operated for free of cost, respectively. 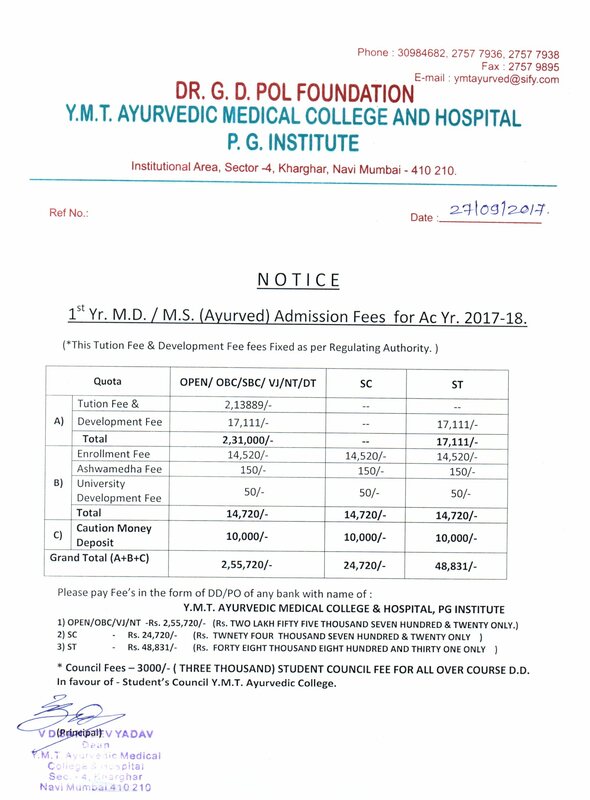 Phacoemulsification paid camp with minimal charges all these camps were conducted by the prior permission of D.B.C.S Mumbai district chief. Departmental CME on every Saturday. Preparation of various types of ayurvedic remedies for the diseases like pterygium, klishta vartma, pingicula, episcleritis, giaucoma, netrabhishandya computer vision syndrome (CVS). Arrange various types of lectures of experts in this field.